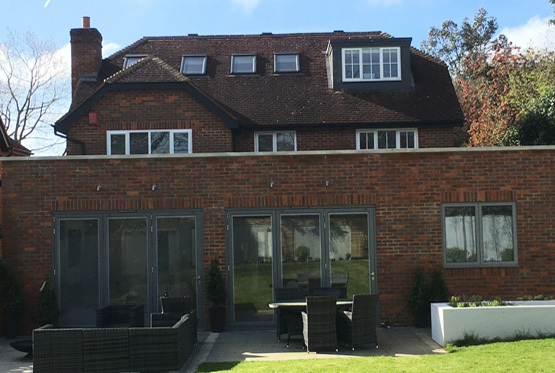 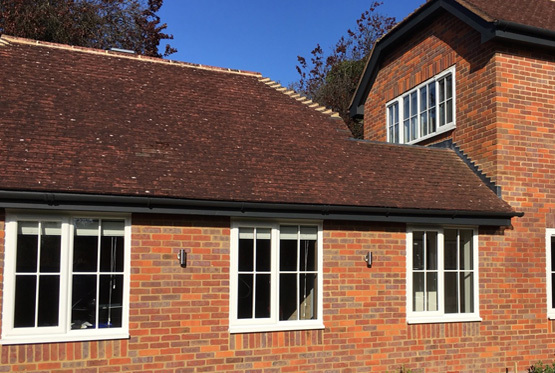 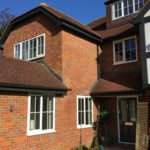 Our clients wished to update their relatively modern property by replacing their old timber windows with woodgrain casement windows with Georgian bars. 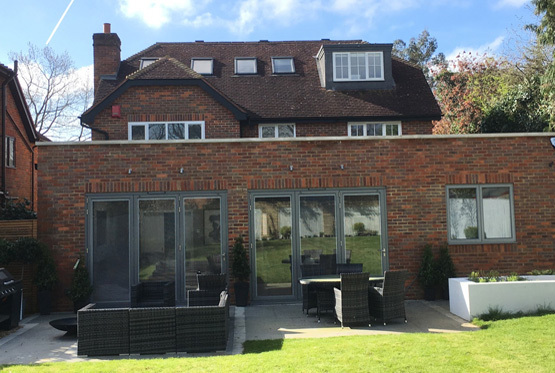 To the rear of their home is an extension where we also installed two Origin bi-folding doors and an Origin flush casement window to compliment the style of the doors. 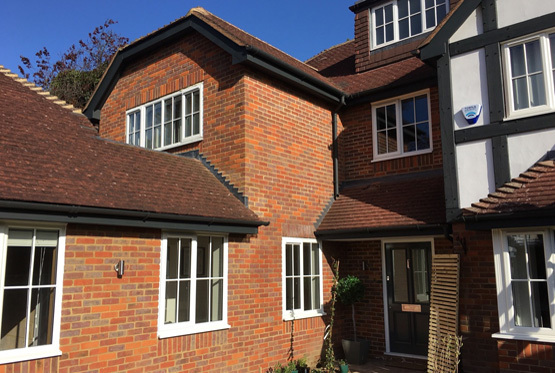 Our clients wished to update and improve their property by adding new double glazed windows that didn’t require the maintenance of the old timber ones and that also enhanced the appearance of the front of the property. 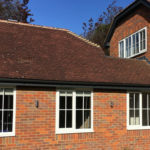 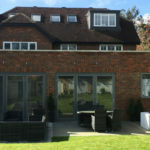 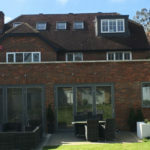 The clients wished to have windows that would enhance the front of the property and that had a Georgian bar feature to add interest and ensure that they were not too plain. 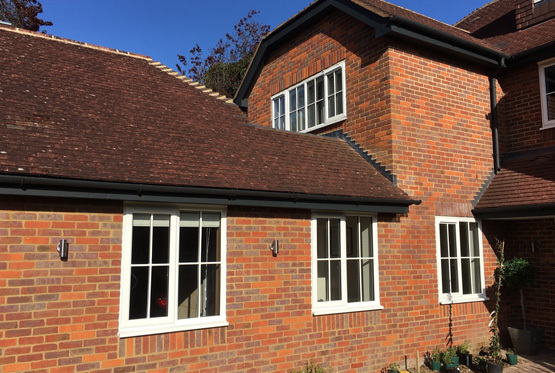 These windows feature a multi-point locking system that offers high security, slim sight lines and help to keep the heat inside with a 6 chamber profile. 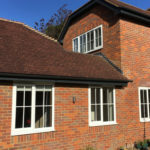 They are also very low maintenance so perfect for busy families. 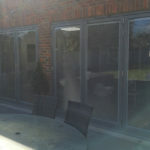 To the rear of the property the Origin bi-folding doors add that must-have modern appearance to the extension. 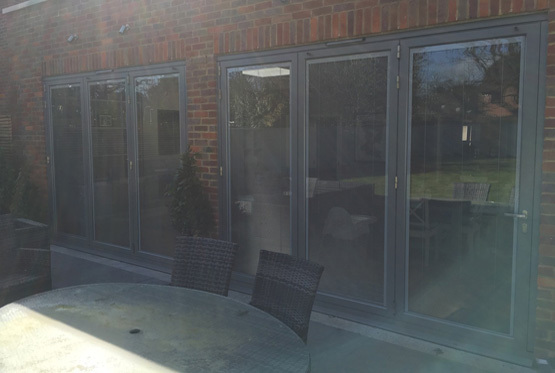 Not only are they swift and smooth but they also have safety features to ensure that young children cannot come to any harm. 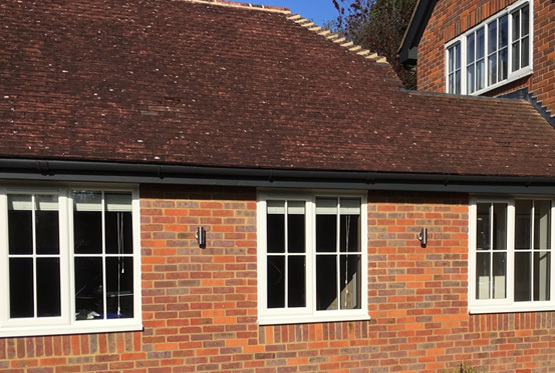 The aluminium flush casement window looks stylish and sleek and is also a fantastic product that features advanced weather tight seals, finger safe hinges, a high security locking mechanism, durable powder coating and is of course thermally efficient. 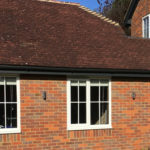 The new installation has enhanced the property further not only do the clients now have all practical benefits of the product but they have a very stylish home. 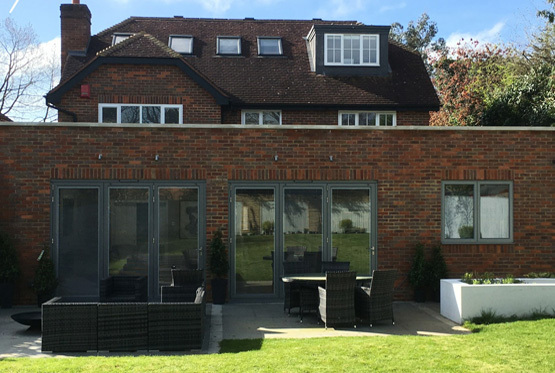 The bi-folding doors at the rear of the property will change the way they live in their home during the warmer months providing easy access to the garden and removing that indoor/outdoor division. 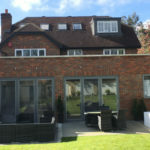 Our clients are happy to have a fantastic new look home that performs just as well.